Margaret Empey Barrow, age 75, passed away Tuesday, January 22, 2019 at the Hospice of Hope in Adams County Hospital, Ohio. She passed peacefully, surrounded by her loved ones from complications of cancer. She was born May 5, 1943 in Ogden, Utah to Herbert and Lucille (Mumford) Empey. She married Verle LaVern Barrow, August 14, 1965 in Ogden, Utah. Margaret attended Utah State University in Logan, Utah and earned a Bachelor's Degree. She lived in Pleasant View, Hooper and North Ogden while raising her family. She worked for Mountain Fuel before retiring and moving to St. George, Utah. 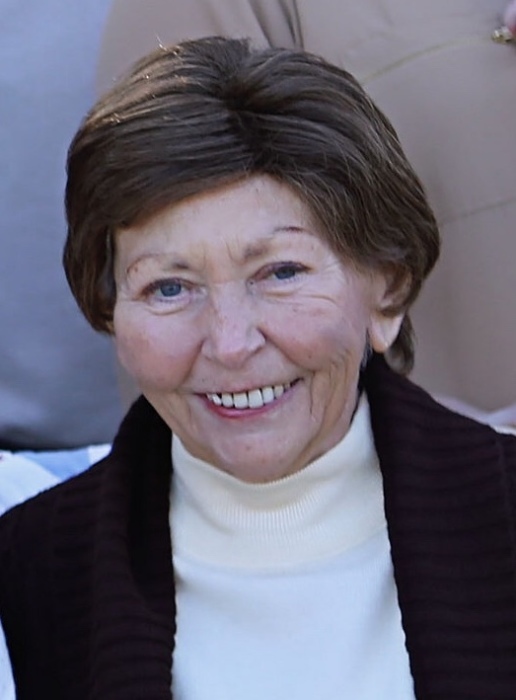 After her husband passed away in 2015 she moved to Mount Orab, Ohio where she spent her last 3 years enjoying her grandchildren, gardening, family gatherings and her church. Margaret was a member of the Soroptimist of Ogden and loved to cook and bake for her family and friends. She is survived by two children, Sean Barrow and wife Mandy of Mount Orab, Ohio, Amy Miles of St. George, Utah, four grandchildren, Thomas Barrow, Ruth Barrow, Marideth Barrow and Brianna Miles. She is preceded in death by her husband Verle LaVern Barrow. A Celebration of Life for Ohio friends and family will be held Thursday, January 31, 2019 at 6:30pm at the Sardinia Church of Christ, 7130 Bachman Rd., Sardinia, Ohio 45171. A visitation time for Utah friends will be Saturday, February 2, 2019 from 12-2 pm followed by funeral services at 2pm at the Warren-West Warren Ward 856 N., 5900 W., Ogden, Utah. Interment will take place in the Warren-West Warren Cemetery. Arrangements are made under the direction of Hughes Mortuary, 1037 East 700 S. St. George, Utah, (435)674-5000. In lieu of flowers, donations may be made to Hospice of Hope Ohio Valley, 215 Hughes Blvd., Mount Orab, Ohio 45154.